A New Business Model for Home Theater 3D? Recent defections by former 3D content providers like ESPN and the BBC paint a dreary picture for 3D content in the home. However, to conclude that home 3D is dead ignores some important facts, and now is as good a time as any to take a much-needed deeper look into the state of 3D. First of all, when you look at the moves by ESPN and the BBC to step away from their 3D content commitments, you might immediately conclude something along the lines of, “If those big companies, who’ve made such a big deal about 3D and seemed like some of the best content providers, are giving up, then 3D in the home must be finished.” Heck, even Nintendo, whose 3DS is probably one of the most successful 3D products, is getting ready to debut a 2DS model, which does everything that a 3DS does, minus the optional 3D effect. But 3D enthusiasts (e.g. 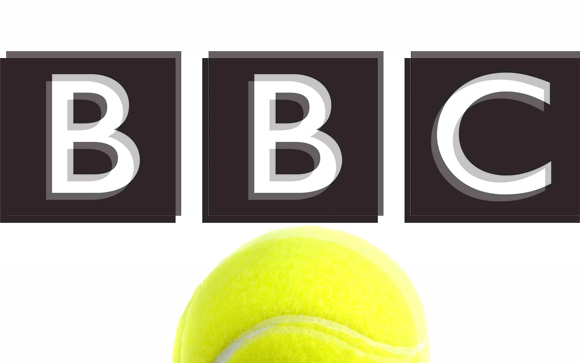 the people who actively seek out 3D content) are quick to point out that both the BBC and ESPN’s 3D offerings were mostly uninspired content that was prohibitively expensive. On the one hand, as a sports fan, ESPN 3D sounds really appealing, even with the normal 3D drawbacks. Sports in HD (and on big screens) is tough to beat visually, and adding 3D to that makes sense. However, ESPN is mainly about the news and entertainment surrounding sports. The network’s actual broadcasts of games are pretty spotty. Other big networks such as ABC (ESPN’s parent), Fox or TNT tend to get all the really juicy events, like the Super Bowl, NBA finals or the Olympics. The specialist stuff like NBA League Pass or the Speed Network also aren’t on ESPN, and they certainly weren’t on ESPN 3D. On top of this, getting ESPN 3D at all required having the right cable or satellite provider and paying some big monthly dues. Meanwhile, the BBC made a big deal about airing the 2012 Olympics in 3D, and then failed to follow through. 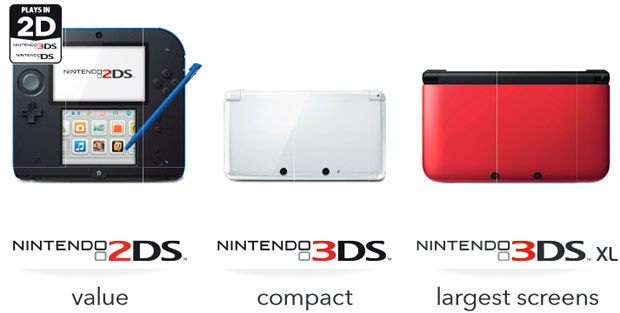 As for Nintendo, the 3DS’s 3D effect is fun for about two minutes, if that. Holding your eyes exactly in level with a handheld game system for an effect similar to a foil hologram on one of the screens is not fun for most people. Personally, I can’t stand auto-rotate on phone screens, and usually leave it toggled off. It would appear that Nintendo wanted a product at a price point more like an old Nintendo DS, and decided to drop the seldom-used (and not required for gameplay) but expensive 3D effect. That keeps the clamshell-style 3DS at $170, while the 2DS (which doesn’t fold to help it seem more like a tablet) will be $130. Personally, I like to have options. For a time, it seemed like the 3D push was just forcing half-baked functionality into almost every device and every crummy CG action movie. Now, however, it seems optional at the movies, not unlike a recent viewing of ‘Elysium’ I attended in Dolby Atmos. If you want that experience, you pay for it and consume it. If not, you don’t. No more and no less. Back to 3doo, the company has just won the “Best 3-D Product” technology award from the International 3D & Advanced Imaging Society. Hopefully, this means that the future of 3D content for those who want and enjoy is safe. Especially now that HDMI 2.0 has been finalized and is working its way into new products, it shouldn’t be long until 3D content gets a bump in resolution. Fortunately, 3doo is gaining steam and seems like a much smarter way to get 3D content than the old timey cable subscription model. I’m curious which 3D format the 3doo streams in. I assume it would have to be either 1080i side-by-side or 720p top/bottom, because real frame-packed 3D like Blu-ray would require far too much bandwidth to stream. Until I have replaced my BD player, Receiver and TV again, HDMI 2.0 is a way off. And at that point 4K will likely be hopefully more useful than it is right now. As it is I have thus far avoided even seeing it because I know whats gonna happen once I do. I am one of those people who can’t avoid a better picture when it can be had. I know, right. Even Google thinks of 3DO. 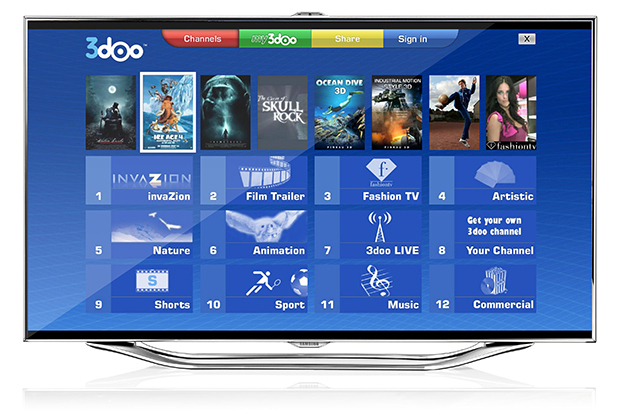 Sadly, my television is a Vizio, and last time I checked, 3doo was not available on it. 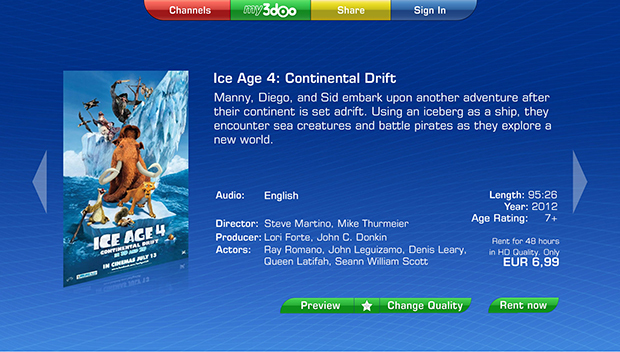 Vudu has a decent 3D library. I would like more. BTW, the Olympics in 3D was HARD to find. Apparently it was going to be aired in the US as well, but only certain providers carried it. i found a torrent of the Opening Ceremonies, and I think one of platform diving. I am going to check newsgroups eventually, just haven’t gotten around to it, but the provider I go to every so many years has 5 years of retention (kinda makes it pointless to keep a Newsgroup subscription over a month or two every couple of years). I also heard there was a couple of episodes of Doctor Who in 3D. Man, would I like to get my hands on that! Yes, I went out of my way trying to get the Olympics. Called up my satelite provider, and the local cable provider, and neither were offering it. I think DirectTV offered it, but I wasn’t prepared to pay installation and sign a contract for 14 days of delayed-programming. ESPN 3D was offered, but I had to pay a subscription fee to ESPN plus go to another tier with my provider, so it would have cost me an extra $20 a month to get that one channel. And they had like 8 hours of programming on a loop. What they had looked great, but it was the same thing over and over, and it wasn’t something I was interested in anyways. Unlike ATSC, there was no government push to go 3D (actually, I guess there was no government push to go HD – just digital). So only a couple of networks even tried to go 3D, then invested almost nothing into getting quality content. It seemed to be a double edged sword – lack of consumer intrest caused lack of investment from television companies, but lack of quality programming caused lack of consumer interest in subscription-based television networks. What do you expect when the only decent 3D movies (avatar) are treated like special tokens that up until recently you could not eve buy on 3D BluRay. They don’t care about the format, they care about the money.